Corvid Apps: Does the English Language Hinder Our Numeracy? Does the English Language Hinder Our Numeracy? The first was my brother and I were watching our kids play. His son, who is 2.5 was counting: 1, 2, 3, 4, 5, 6, 7, 8, 9, 10, 11, 12, 14, 15, 16. He skipped 13. Young children are often stumbling and skipping over numbers through the teens. I commented that our numbers really don't make sense anyway. When counting in Japanese it is very simple. You say the words for one, two, three through ten, and then after that you say ten-one(11), ten-two(12), ten-three(13), ten-four(14), ten-five(15), ten-six(16), ten-seven(17), ten-eight(18), ten-nine(19), two-ten(20), two-ten-one(21), two-ten-two(22), etc. Even when they write out numbers as words the characters follow the same pattern. My point is, do Japanese speaking children stumble over the teens as much as English speaking children? A couple weeks later my eldest daughter, who is in Kindergarten, was talking to her younger sister. The elder was talking about the number 28, the younger asked, "How much is 28?" The elder said two-tens and eight more. Then I remembered her showing me a 100's chart and counting how she learned at school. When she got to the larger numbers she would say two-tens-and-one (21), two-tens-and-two(22), two-tens-and-three(23), etc. Sound familiar? Understanding place value is a foundational math skill. In the early elementary age children teachers strive to help the kids understand place value, so that when they starting adding multi-digit numbers they can understand WHY you need to carry. Teachers have students do exercises like the one my daughter did at school in analyzing 100's charts, finding the patterns, and counting the numbers like she was. 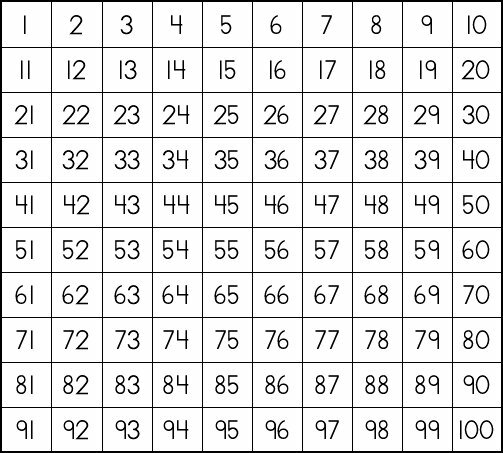 Unfortunately there are kids who do not get enough of this practice, and have a harder time making the connection that twenty is the same thing as two-tens. My sister, who was student-teaching third graders met a few such kids. The curriculum had moved beyond place value and onto addition and subtraction, but the kids who didn't understand place-value also didn't understand why you needed to carry numbers. She said that even when counting, one girl seemed surprised every time she switched from one set of tens to the next (ie from twenties to thirties). For these students the rest of their math experience will most likely result in attempting to memorizing the steps to solve a problem and will not understand the meaning behind the steps. They will probably have a harder time estimating and will be less able to look at a final answer and be able to tell if it is in the ballpark of the right answer. But what if kids have spent their whole verbal life practicing place value? I would imagine their understanding of place value would come faster and easier. 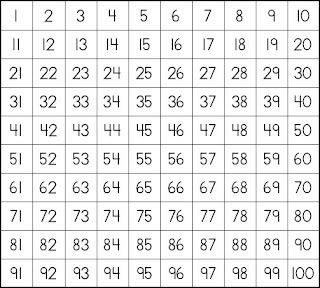 Multiplication by ten becomes trivial. What is two groups of ten or two times ten? Two-ten! Combine that with a metric measuring system (also base ten) and you have practical math skills that make logical sense being used from the moment a child is verbal. I would imagine such a language would make it easier for their speakers to understand the connections and relationships between numbers. 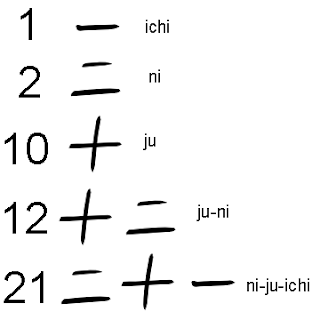 Japananese, Chinese and Korean languages all count this way, and have strong math scores in international standardized tests. Finland, Norway, Singapore, and Canada do not have languages that count this way and also have strong math scores. The Thai langauge counts in this way, yet have low math scores. Obviously there are many confounding variables, and the language one speaks isn't the silver bullet to being good at math, but it is an interesting idea nonetheless.